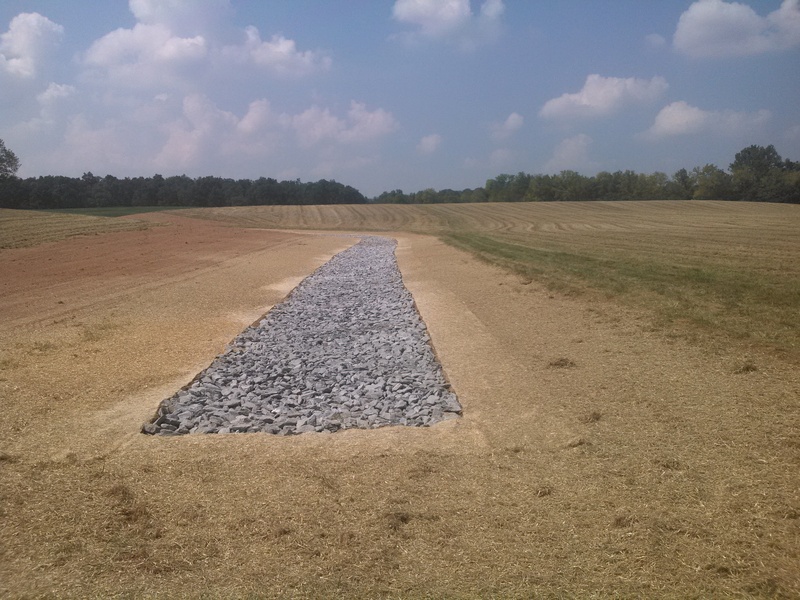 Grassed waterways control erosion and drain storm water safely off the land into designated outlets. They can also be used as outlets for the concentrated water coming from terraces, diversions, or adjacent properties. Grassed waterways are generally shaped in one of three ways: parabolic, trapezoidal, or triangular. Parabolic is usually the shape of choice because it is the shape found in natural watercourses and it is the easiest waterway to cross with farm equipment. 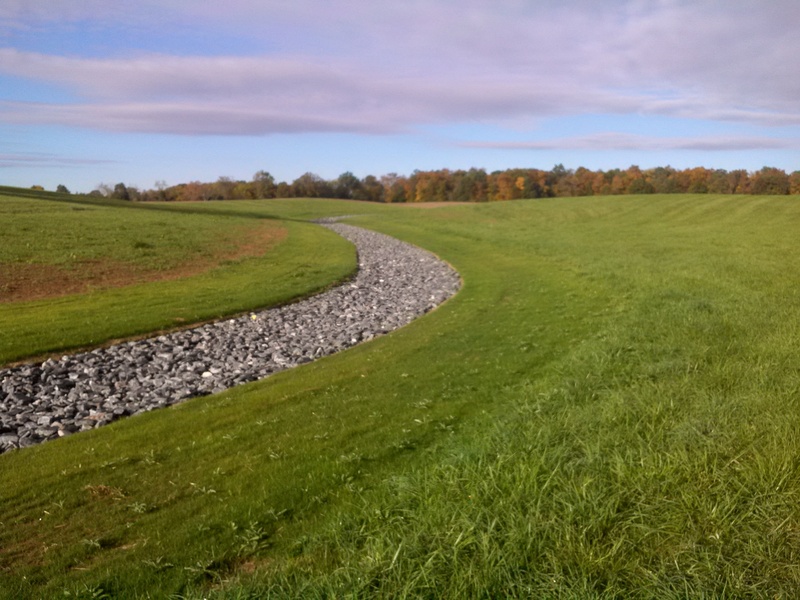 Small flows of water are not as likely to meander in parabolic waterways, and contractors find them easy to visualize and build. Work closely with your soil conservationist at the Natural Resources Conservation Service. The minimum grassed waterway for small drainage areas is 30-feet wide and .8 feet deep. The technician may recommend rock or fabric checks to protect the waterway during grass establishment. Unlike side diversions, rock or fabric checks do not have to be removed. Rocks are normally placed in the center of a watercourse to a depth of 10 inches.